6/25/17: Geckcessories has the first leopard geckos, a gargoyle gecko and Coleonyx elegans up on the site for sale! 6/3/17: Hatched tonight: Ercit1&2. 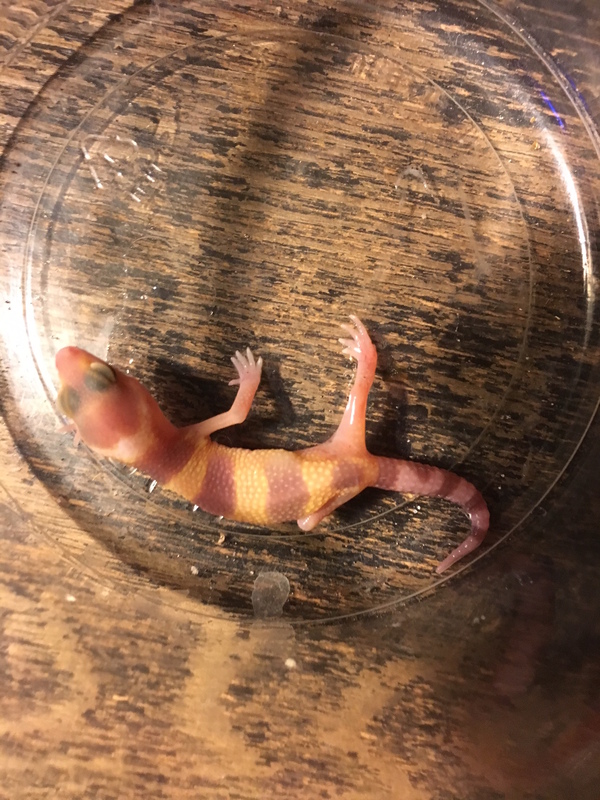 These are the first offspring ever for Citrine and the first of 2017 for Eragon who has now fathered leopard geckos for 13 seasons in a row! 4/19/17: Geckcessories is sold out of the 2016 season’s geckos. However, there are a lot of eggs in the incubator and hatching has started. Check back in early June for the first available geckos of the 2017 season! 2/15/17: The 2017 season begins! 1/22/17: I have listed my last leopard gecko of the 2016 season. My geckos are also listed on MorphMarket. As a service to the community to help with understanding the costs and benefits of breeding geckos, I’m presenting my financial records for 2016 below. a. My “misc.” category is primarily for shipping payments and expenditures, as well as medical costs. In addition, I made $500 this past year in payment for writing gecko related copy for someone’s website and decided to count that as Geckcessories income. b. I spent more than I had planned to on purchasing geckos this year. I’m hoping that will go down for 2017. Income total Reptiles Food Supplies Misc. So, as you can see, I ran about $450 in the red this past year, and it would have been double that had I not earned that $500 for writing. This is an opportunity to get a sense of how the “business” often works, especially for those of you who think you’re going to make a bundle breeding geckos. 11/13/16: Available leopard gecko page updated with all the geckos big enough to sell. There are now 32 geckos on the page with 2 more to be added when they get bigger. 9/18/16: Four more leopard geckos added and 7 more coming soon (not to mention the 15 that are still too small and the 6 that haven’t hatched yet). They’re starting to sell at very reasonable prices, so get yours while they’re still here! 9/3/16: Happy Labor Day weekend! 7 new leopard geckos added to the website including two Tremper albino super snows which are pure white with red eyes (similar appearance to diablo blanco but different genetics). 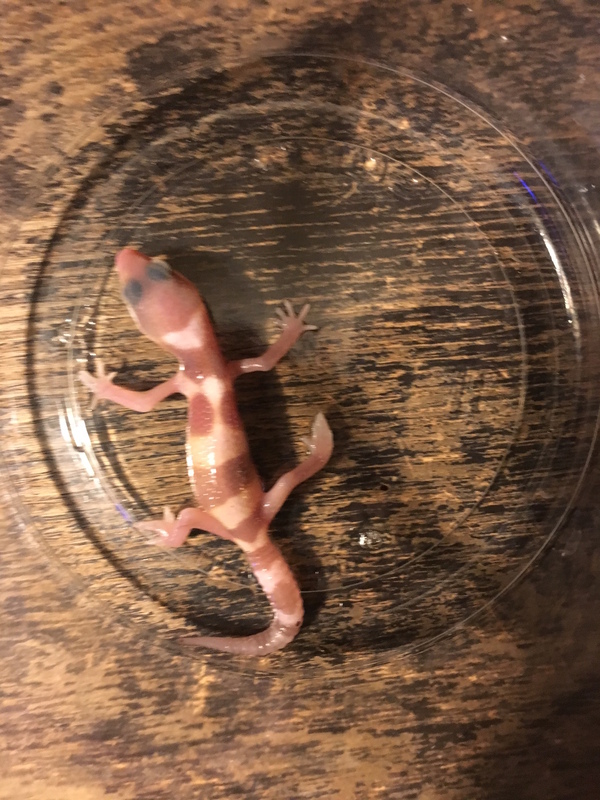 7/31/16: There are now 17 leopard gecko hatchlings up on the “available leopard geckos” page with a whole lot of additional geckos coming in the next few weeks. The first two gargoyle gecko hatchlings are up on the “available other geckos” page. 7/1/16: The first leopard geckos of the season are up on the “available” page, with lots more coming soon as they grow. 4/20/16: Update on the Tremper Mack super snow. She appears to be eclipse as well! First shed reveals white tail tip, nose and toes. 2/18/16:Geckcessories has sold out for the 2015 season! Check back beginning in June of 2016. We hope to have leopard geckos, fat tail geckos, gargoyles and SW banded geckos. 2/17/16: First leopard gecko eggs of the season laid today! 12/27/15: Updated all the photos of the available leopard geckos and added Galase6 who I’d forgotten since she was in shed at the time of the previous update. Added 3 gargoyle geckos to the “available other geckos” page including a gorgeous orange stripe. I will be vending at the Manchester NH show on Jan. 17, 2016. 11/22/15: Four new leopard geckos listed on my page ranging from $30-50 plus shipping. I have one more that still needs to grow a bit before being listed. Check out Sumar5, Sumar7, Lightur2 and Lightur3. 10/11/15: Available leopard gecko page updated with 6 new geckos plus my last gecko of the 2014 season. More coming soon. 9/6/15: The gargs are here! 8/30/15: Just got back from the first reptile expo of the season. 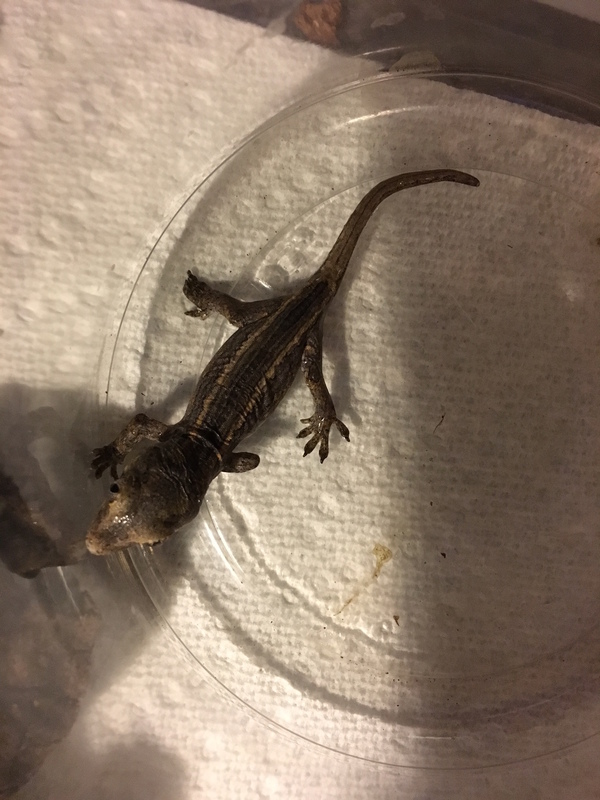 I currently have 1 adult leopard gecko (from last season), 11 juvenile leos and 3 gargoyle geckos with about the same number in the incubator. 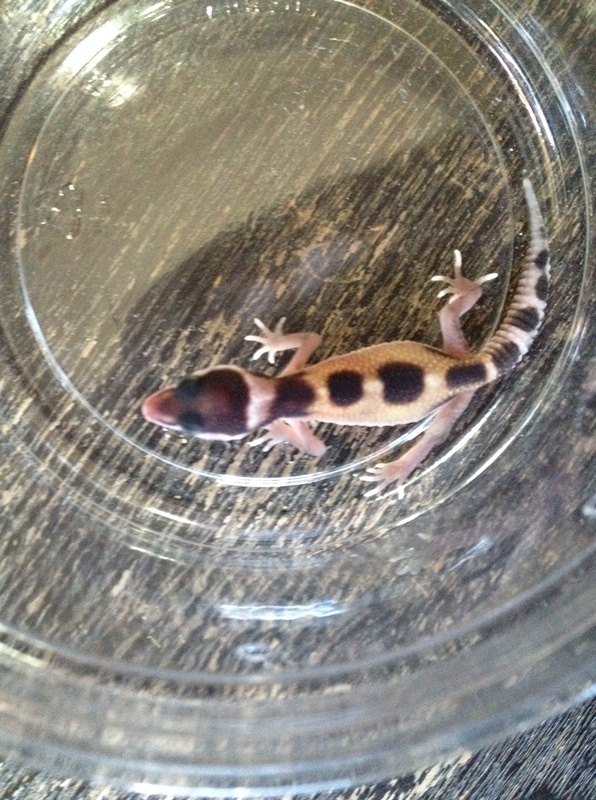 Most of the leopard geckos will be too small to sell until the end of September. The gargoyles are ready to go and will appear on my page soon! Next reptile expo is 9/27 in Manchester NH. 8/2/15: This has been a very difficult season for reasons unknown. Finally, I’ve had my first hatches since May, including another gargoyle and 4 more leopard geckos. One is a super snow eclipse (“Total Eclipse”). They will be with me at my table at the Portland ME reptile show on 8/30. 5/9/15: The gargs are here! Hatched 5/7 from the “male” incubator. 4/15/15: First hatch of 2015! Not much to see there yet, but feel free to “like” me. 1/31/15: First gargoyle egg laid tonight! My 2015 season has begun. Hopefully the results will be seen at the end of April. 1/29/15: Appreciation – I’m very appreciative of all the views, comments and attention Geckcessories has gotten lately. I have 16 more geckos to sell, hopefully before things ramp up for the 2015 season! 12/24/14: I am looking forward to vending at the White Plains show on Jan. 4, 2015 and the Manchester NH show on Jan. 25, 2015. 11/27/14: Happy Thanksgiving! 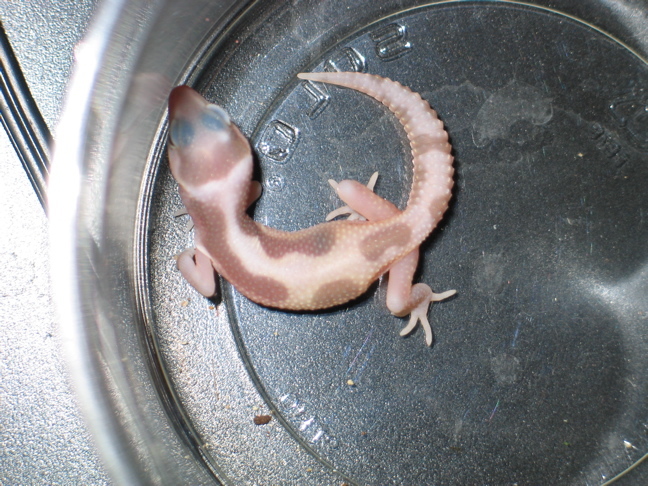 The “available” pages are up to date, including a Geckcessories first: Tangerine Patternless African Fat Tail Gecko! 11/25/14: I have updated my “available Leopard geckos” page, which now includes 20 geckos. There are 15 more to update and hopefully that will come soon. 6/11/14: The first leopard geckos are big enough to be sold. Check out my available leopard geckos page. 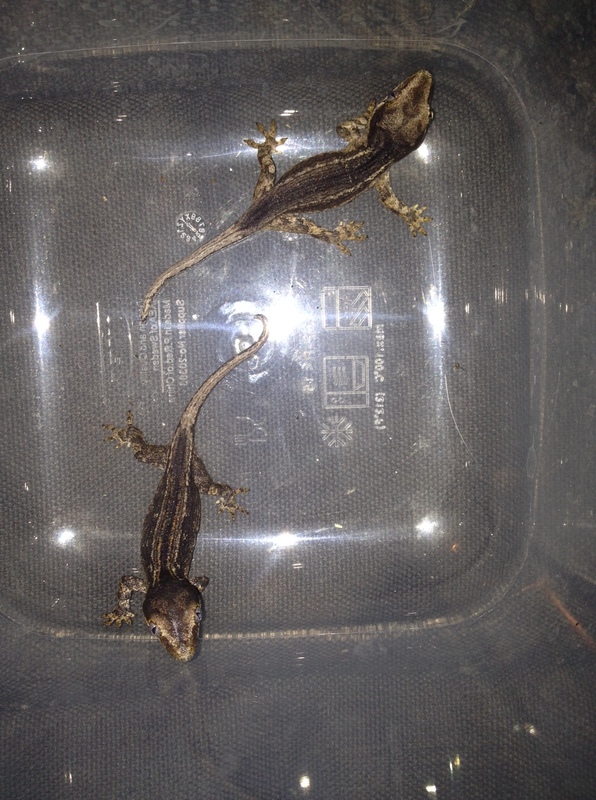 I also have the first fat tail geckos, Coleonyx and gargoyle who are still growing. 3/1/14: The 2013 season is sold out! 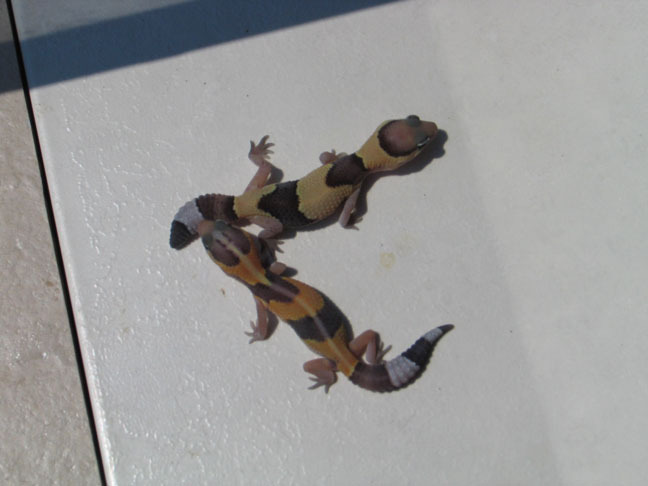 Eggs from 4 species are cooking in the incubator and geckos will be available beginning in May 2014. 1/8/14: 17 more geckos to sell from 2013 and my first 2 gargoyle eggs of 2014 were laid tonight! 12/14/13: I have uploaded all my available 2013 geckos onto the website on the “available leopard geckos” and “available other geckos” pages. 12/11/13: I’ve begun posting my remaining 13 leopard geckos of the season (2 up so far) and will also be posting my available gargs and SW banded geckos within the next week. 6/10/13: I’ve updated my available pages with the first offerings of 2013. 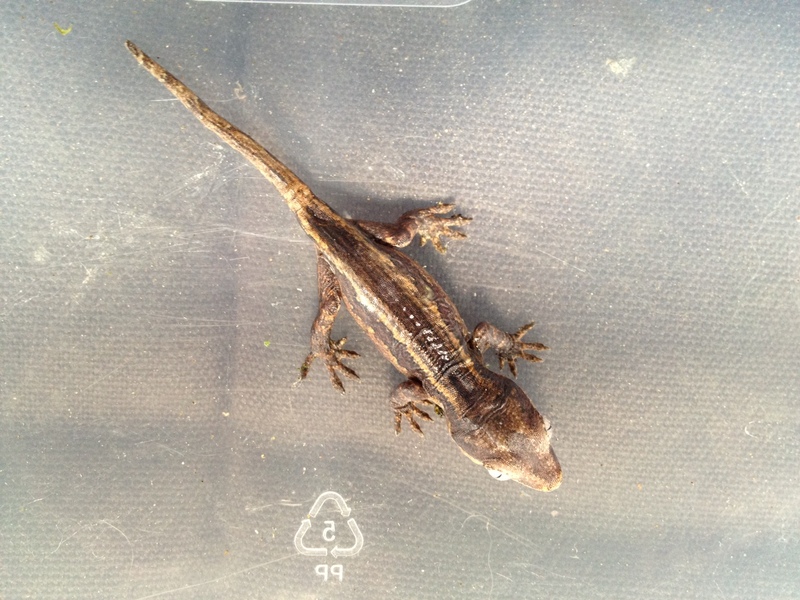 1/12/13: My first garg offering posted on the “available other geckos” page. I still have 3 gargoyles and about 15 leopard geckos for sale. 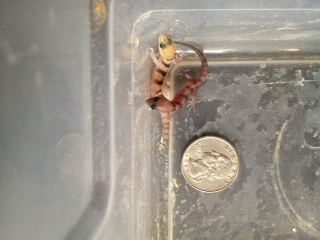 3/27/12: I have 11 young SW banded geckos now, the last 2 born today. There is a picture of the first 9 of them on m “Available other geckos” page. 11/2/11: Available geckos updated with all leopard geckos except the 2 smallest who have not had their “portraits” done yet. 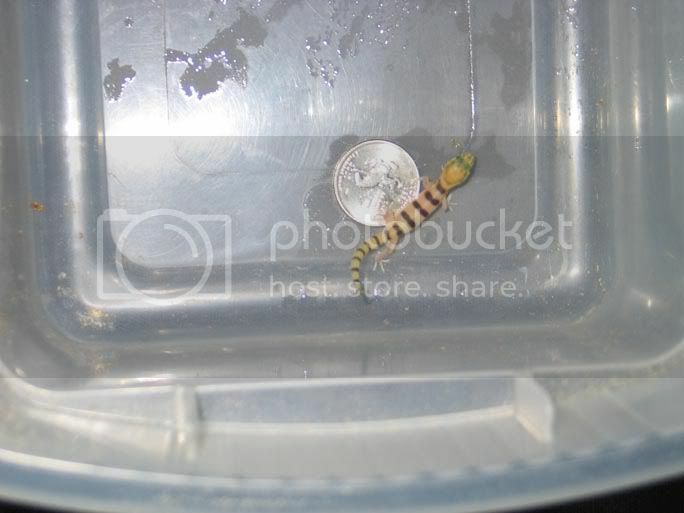 8/28/11: Pictures of the ’11 geckos for sale are now up on the “available geckos” page with more to come soon. 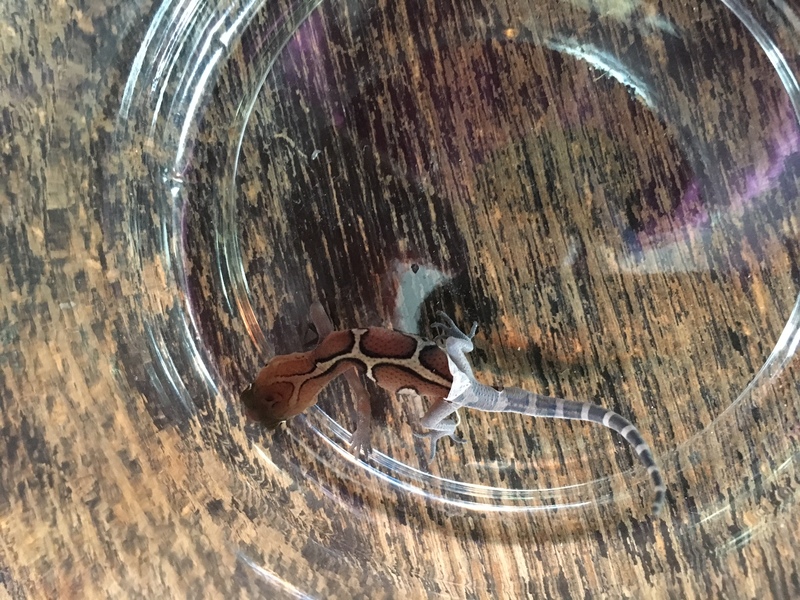 I also have African fat tail geckos and Southwest banded geckos (Coleonyx variegatus) for sale; Email me for pictures and prices. 2/6/11: The “ceramic geckcessories” and “available geckos” pages have been updated. The new season (my 7th!) is starting, though no one has laid yet. I’m looking forward to success with my new AFT pair: striped amel female and het amel male. 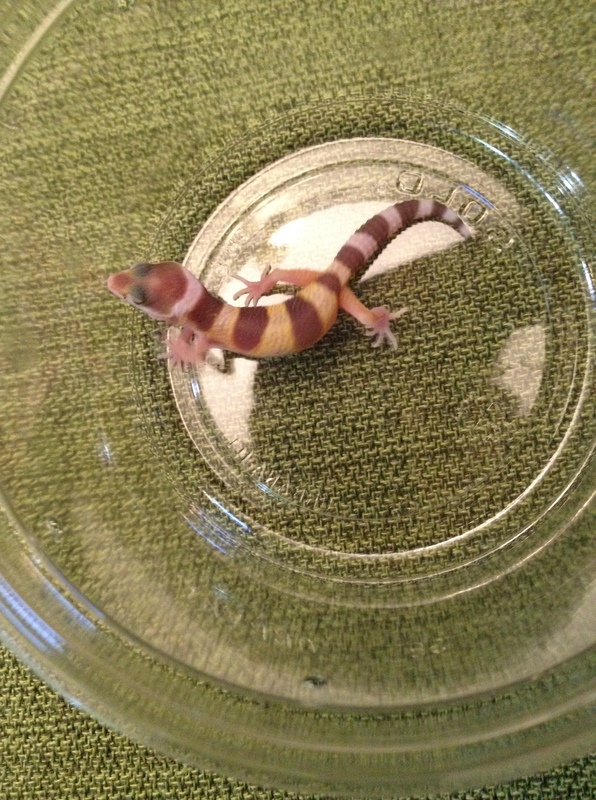 10/17/10: The “available geckos” page has been updated with new pictures. 6/20/10: Leopard gecko production has started up again with 10 babies since Memorial Day weekend. The first is just getting big enough to be sold and will be listed with some others on my available page soon. 1/31/10: All my remaining leopard geckos except one that was in shed are now up on the website in the “available” section. 12/6/09: I’m putting up my 6 nicest geckos of the 24 I still have left to sell, but I have lots more tangs, a few snows and albinos and one SW banded gecko as well. 11/22/09: I will be vending at the White Plains reptile show on Sunday 11/29 where I hope to sell my last 35 geckos for the season. 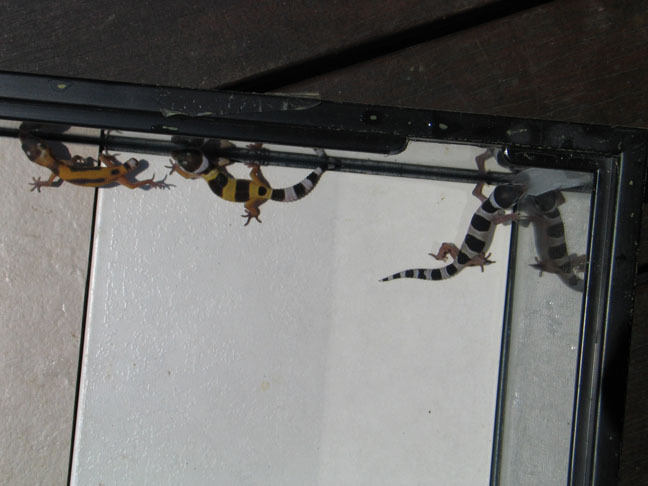 8/16/09: I have many more geckos than those listed here, more than 40, as a matter of fact. The ones listed here are a representative sample but I also have Mack Super Snows, a few albinos and 5 SW banded geckos (coleonyx). These leopard gecko hatchlings are all from my super hypo Mack snow x tremper albino cross. They all hatched out as snows and are all het for albino. They will be available for sale in early June and will then be posted on my “available” page. 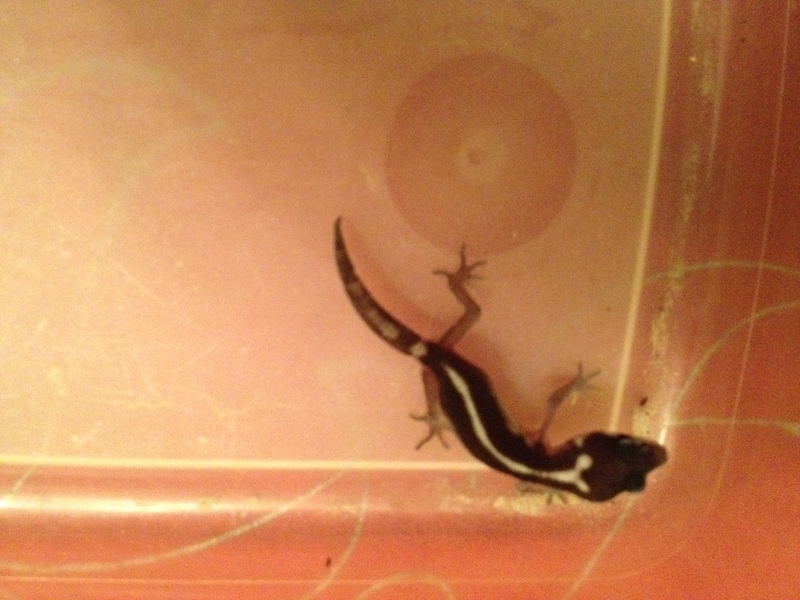 On March 28, I hatched my first SW banded gecko (Coleonyx variagatus bogerti). Unfortunately, she managed to escape what I thought was her secure container. I have made the container more secure and her clutchmate remains. I have 5 more eggs, with the next 2 due to hatch in early May. Where are you located? 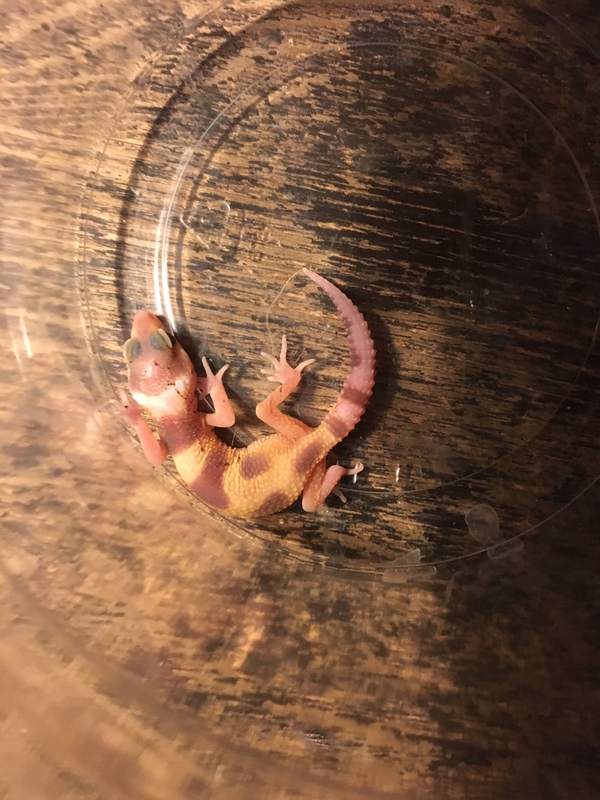 Looking to buy a leopard gecko, what do you have left. Please contact me via my email address “artport@rcn.com” to discuss buying a leopard gecko. I’m located near Boston, MA. Shipping is possible. OMG!!!!!!!!!!!!!! My aunt lives there. We are having a family reunion there.WE COULD MEET EACH OTHER IN PERSON!!!!!!!!!!!!!!!!!!!!!!!!!!!!!!!!!!!!!!!!!!!!!!!!!!!!!!!!!!!!!!!!!!!!!!!!!!!!!!!!!!!!!!!!!!!!!!!!!!!!!!!!!!!!!!!!!!!!!!!!!!!!!!!!!!!!!!!!!!!!!!!!!!!!!!!!!!!!!!!!!!!!!!!!!!!!!!!!!!!!!!!!!!!!!!!!!!!!!!!!!!!!!!!!!!!!!!!!!!!!!!!!!!!!!!!!!!!!!!!!!!!!!!!!!!!!!!!!!!!!!!!!!!!!!!!!!!!!!!!!!!!!!!!!!!!!!!!!!!!!!!!!!!!!!!!!!!!!!!!!!!!!!!!!!!!!!!!!!!!!!!!!!!!!!!!!!!!!!!!!!!!!!!!!!!!!!!!!!!!!!!!!!!!!!!!!!!!!!!!!!!!!!!!!!!!!!!!!!!!!!!!!!!!!!!!!!!!!!!!!!!!!!!!!!!!!!!!!!!!!!!!!!!!!!!!!!!!!!!!!!!!!!!!!!!!!!!!!!!!!!!!!!!!!!!!!!!!!!!!!!!!!!!!!!!!!!!!!!!!!!!!!!!!!!!!!!!!!!!!!!!!!!!!!!!!!!!!!!!!!!!!!!!!!!!!!!!!!!!!!!!!!!!!!!!!!!!!!!!!!!!!!!!!!!!!!!!!!!!!!!!!!!!!!!!!!!!!!!!!!!!!!!!!!!!!!!!!!!!!!!!!!!!!!!!!!!!!!!!!!!!!!!!!!!!!!!!!!!!!!!!!!!!!!!!!!!!!!!!!!!!!!!!!!!!!!!!!!!!!!!!!!!!!!!!!!!!!!!!!!!!!!!!!!!!!!!!!!!!!!!!!!!!!!!!!!!!!!!!!!!!!!!!!!!!!!!!!!!!!!!!! much. can you help us please write back soon as .possible would like to do this for christmas.thanks /my brother works in summerville! Send me an email if you still have some gargoyles available. I’m defiantly interested.